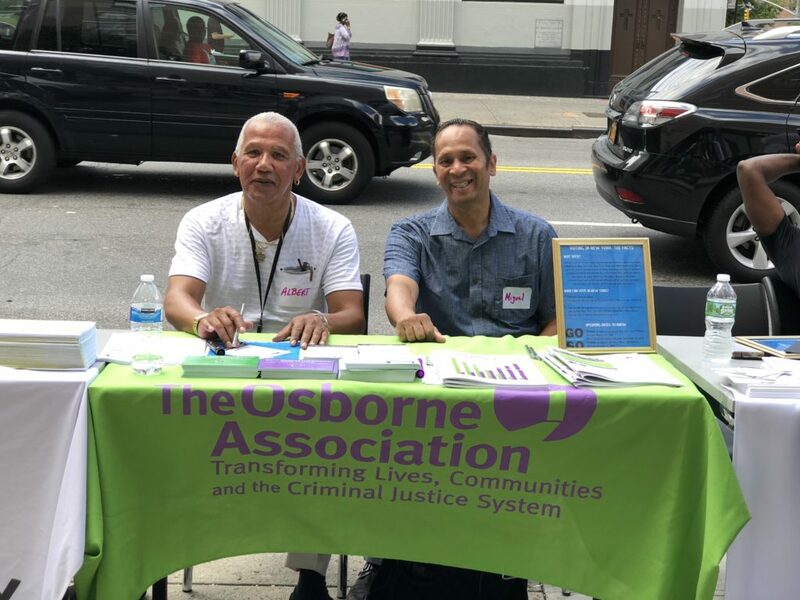 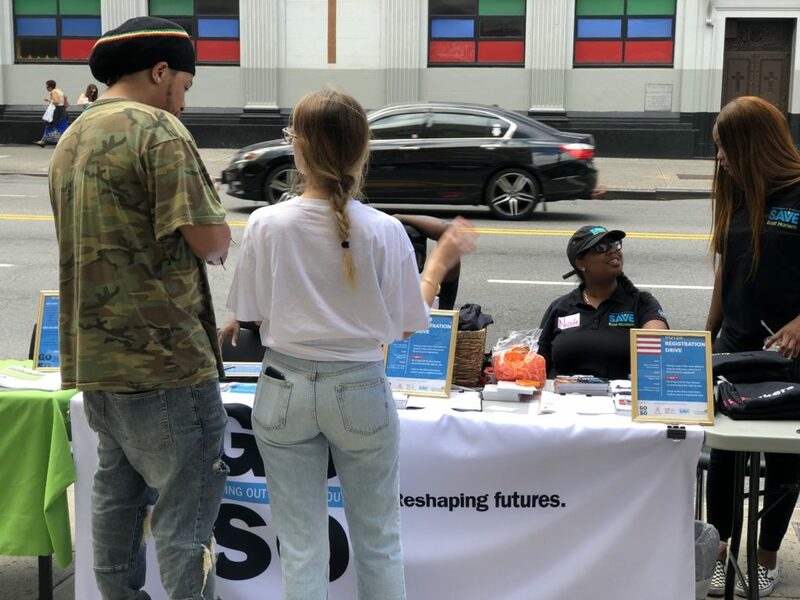 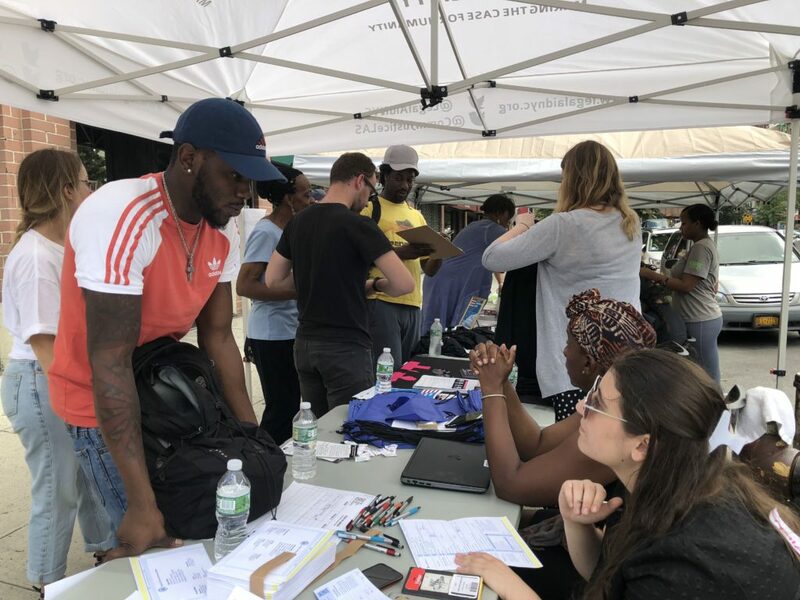 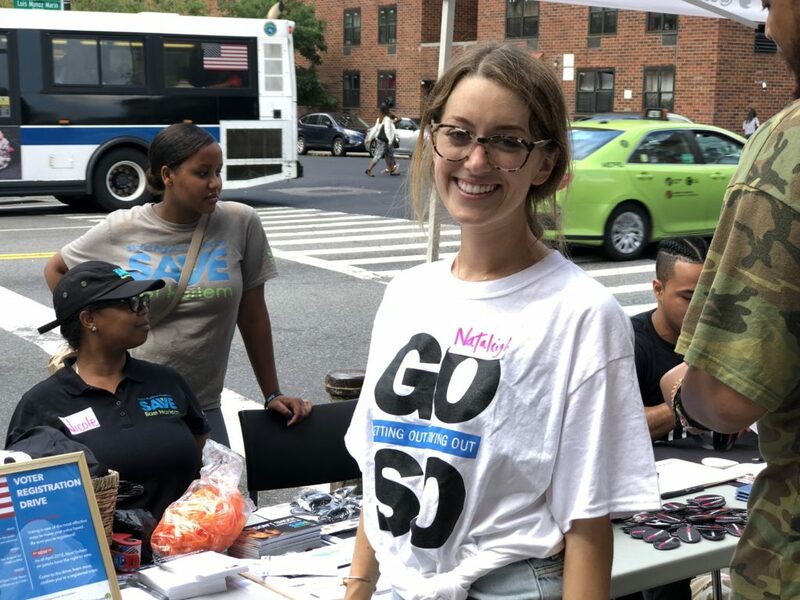 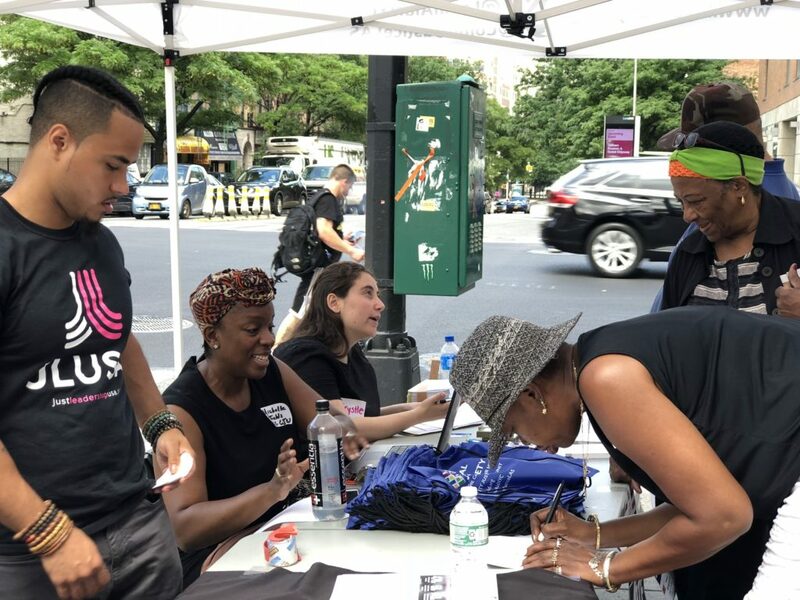 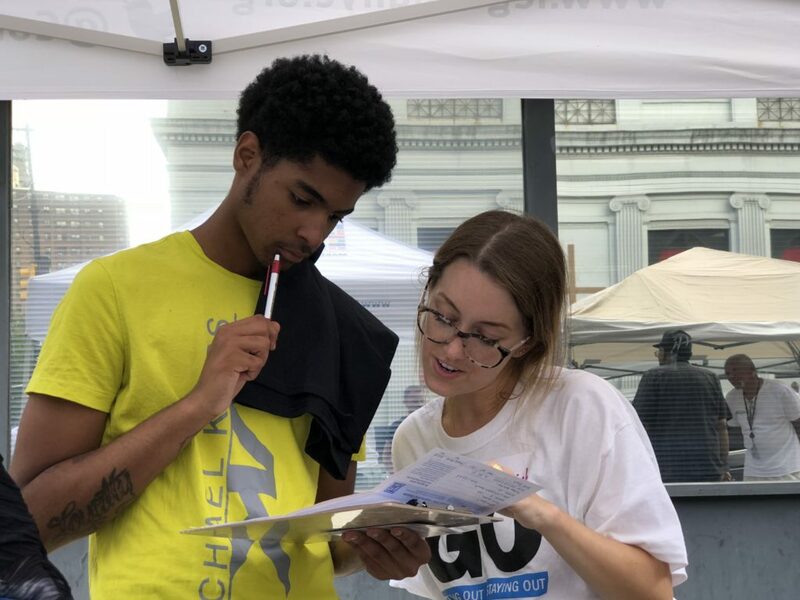 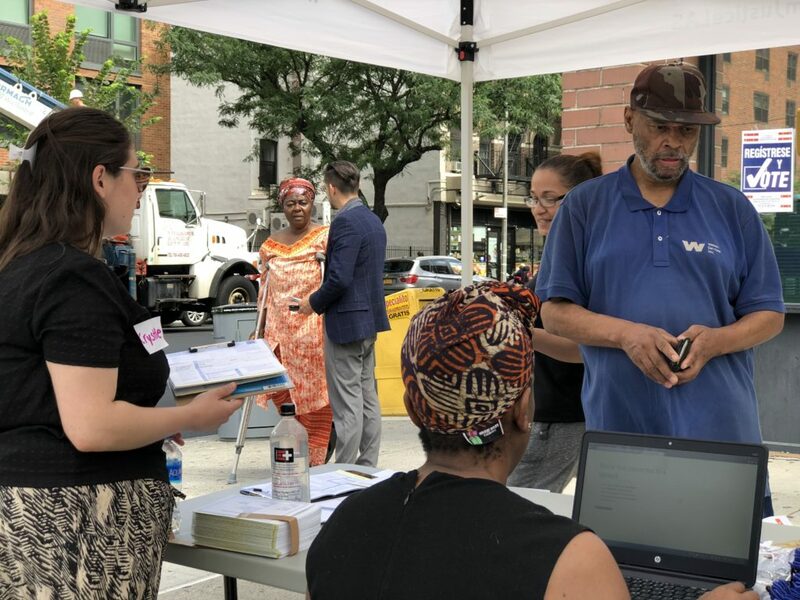 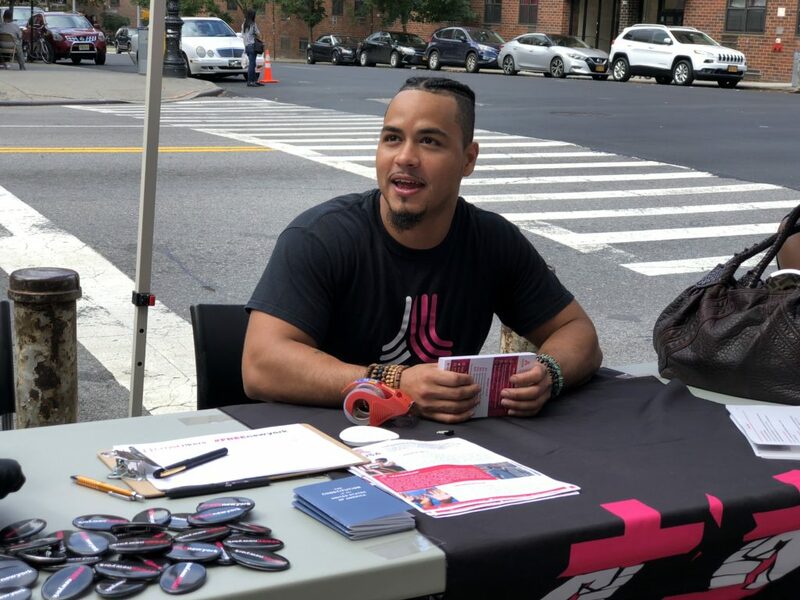 On Friday, August 3rd, GOSO joined with The Osborne Association, The Legal Aid Society, JustLeadership USA and CLOSERikers, and our own SAVE Cure Violence team for a Voter Registration Drive. 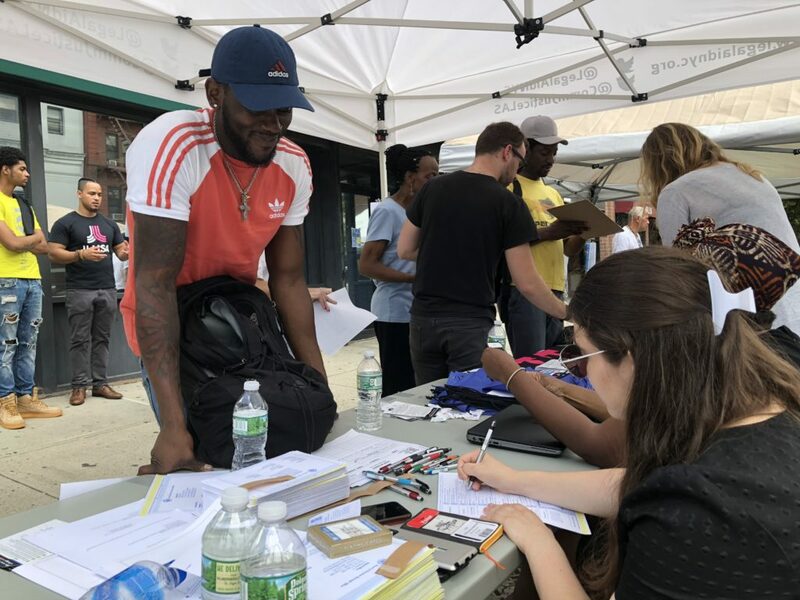 From 10am to 4pm, with tables set and clipboards ready, we met with hundreds — over 1,000, in fact! 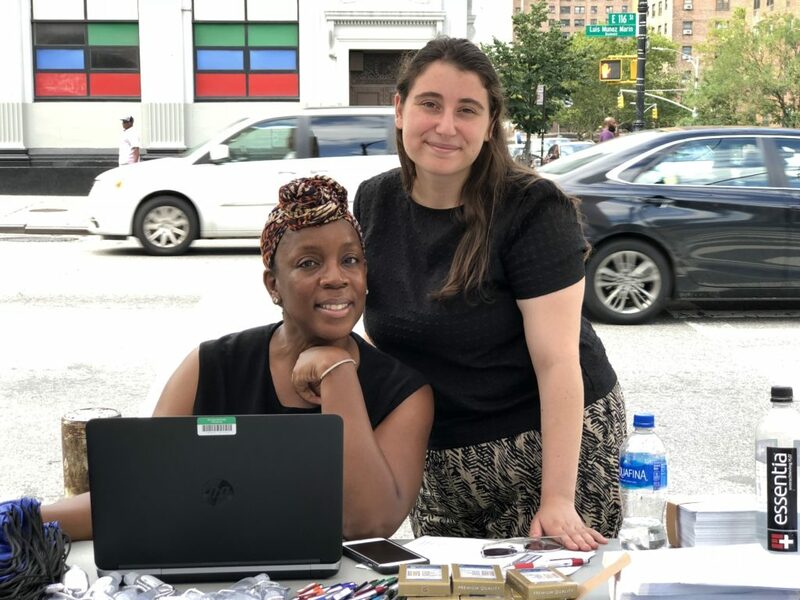 — of New Yorkers who wanted to know more about voting rights in NYC. 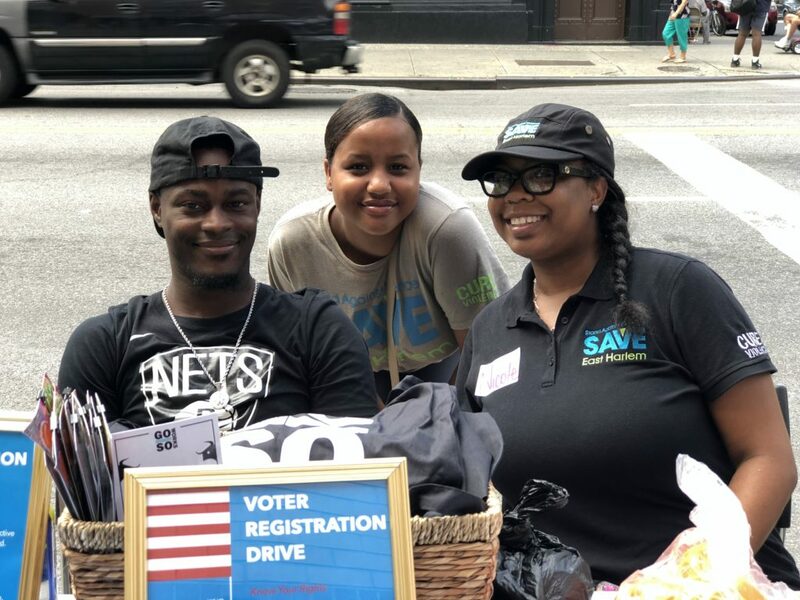 We were delighted that so many people who stopped by were already registered to vote, and we were excited to be a part of many people’s first-time registering experiences, too. 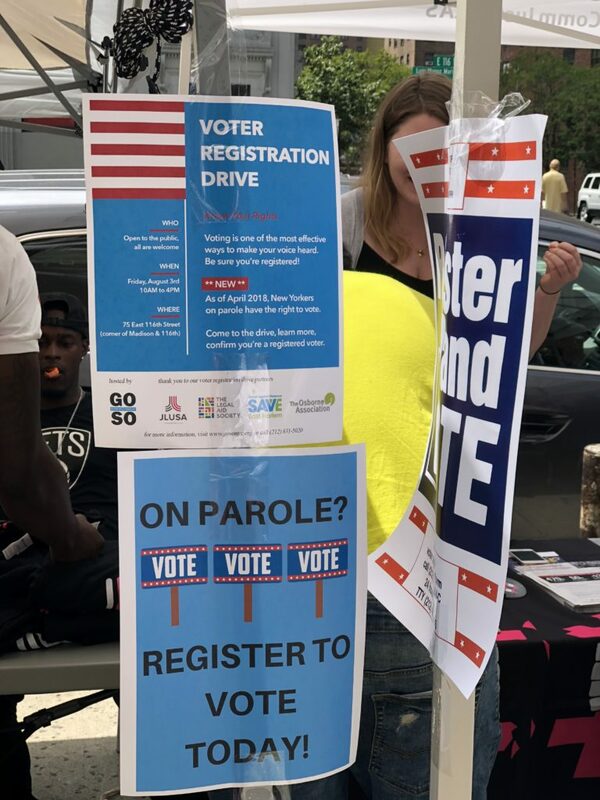 Across the board, drive visitors were pleased to hear more about new laws empowering New Yorkers on parole to exercise their right to vote (us, too!). 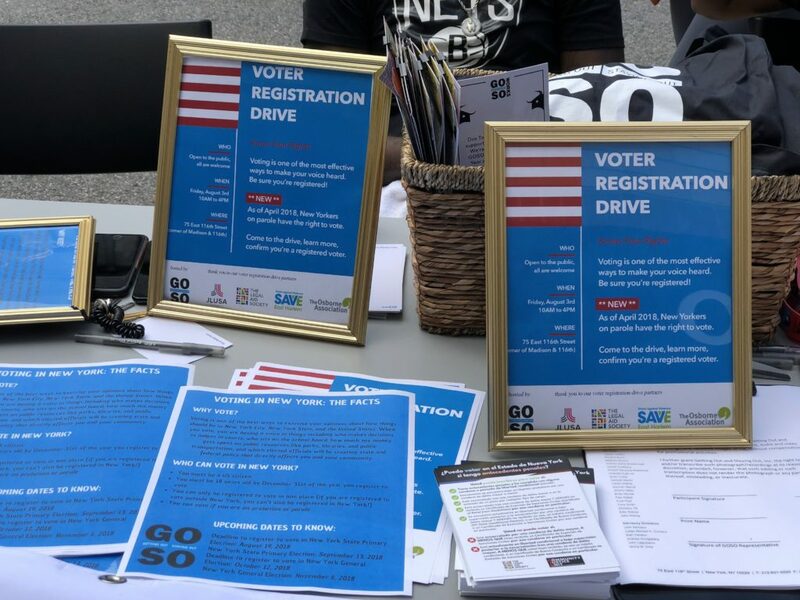 See photos from the Voter Registration Drive in our Facebook album, and below.